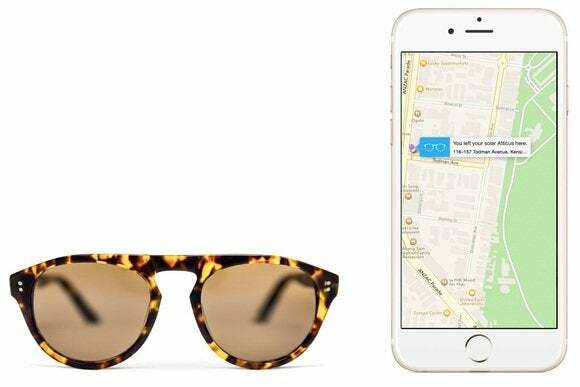 A new company called Tzukuri claims to have created “unloseable” sunglasses, using tracking beacons embedded in the frame. The beacon itself is located along the temple of the frame and measures less than 5 mm thick along one edge. It stays charged through solar cells—about two hours in the sun should be enough to reach full capacity—and is fully waterproof. Be aware that there is a crowdfunding element at work here. Tzukuri will start taking a limited number of pre-orders next week, and it's requiring a $100 deposit, refundable up until production begins. The company says this deposit will help fund the initial production run and aims to ship the first batch of glasses in March, 2015. In the middle of the year, Tzukuri plans to launch an API to allow more uses for the beacon, such as alerting friends when you’re nearby. The glasses themselves use polarized Carl Zeiss lenses, with black- or tortoiseshell-colored Japanese frames in six styles and two sizes. Early bird pricing is $249, and the retail price will be $349. Why this matters: We’ve seen some sticker-based beacons that users can attach to any object, but Tzukuri claims its solar-powered beacons are the world’s smallest. The sunglasses are, in theory, a clever use of the technology, as they’re mainly intended for use outdoors where they can charge via solar. We’ll have to see whether Tzukuri can make good on its promises when it actually has a shipping product.